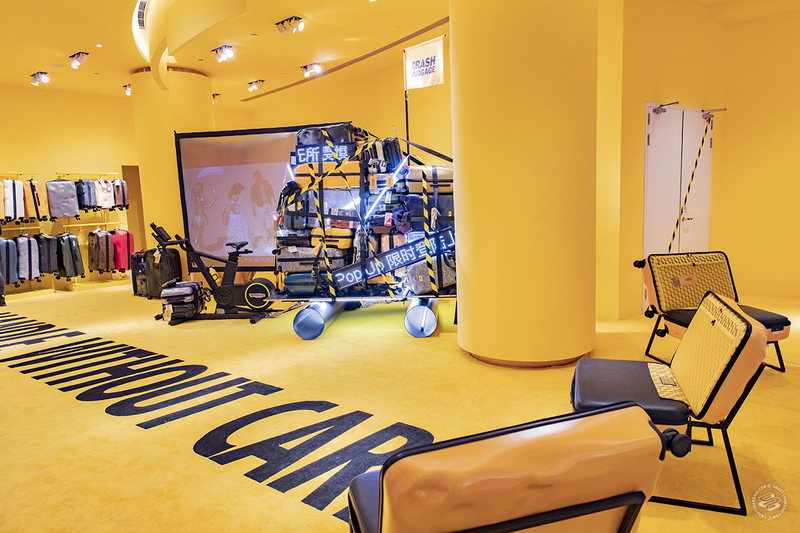 These new malls contain multitudes. 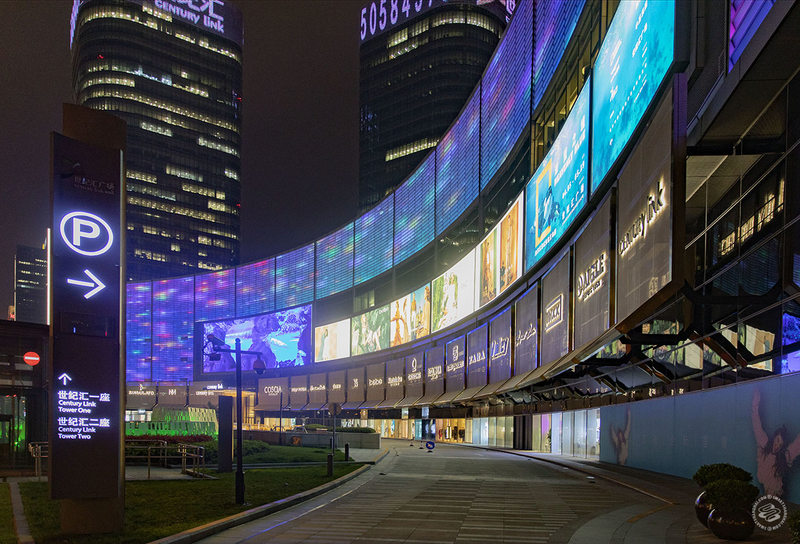 The shopping mall — what 21st century Shanghai will be remembered for. 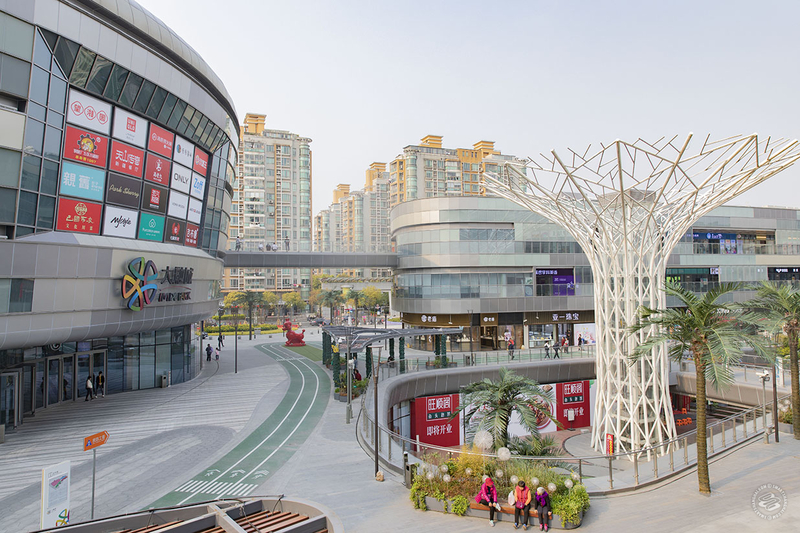 In 2018 alone, 38 new malls opened. 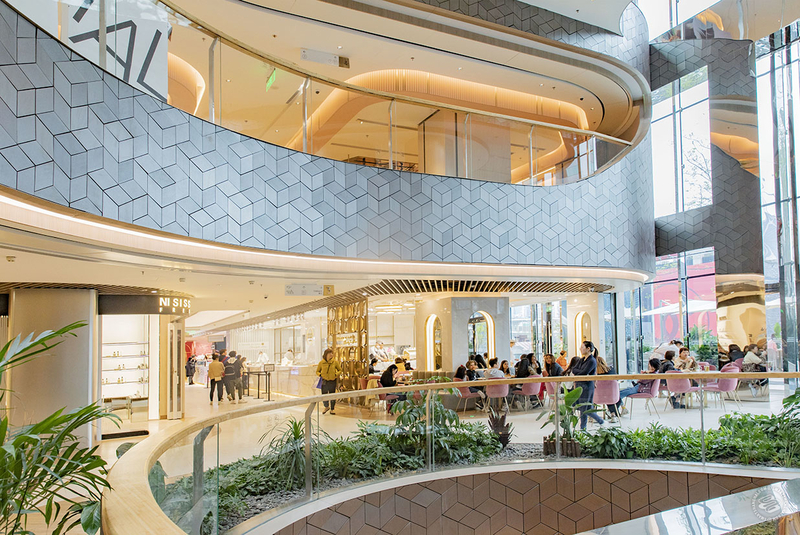 But it takes a mall a little while to come into its own after opening, so we checked back with six that caught our eye to see what they’ve become. 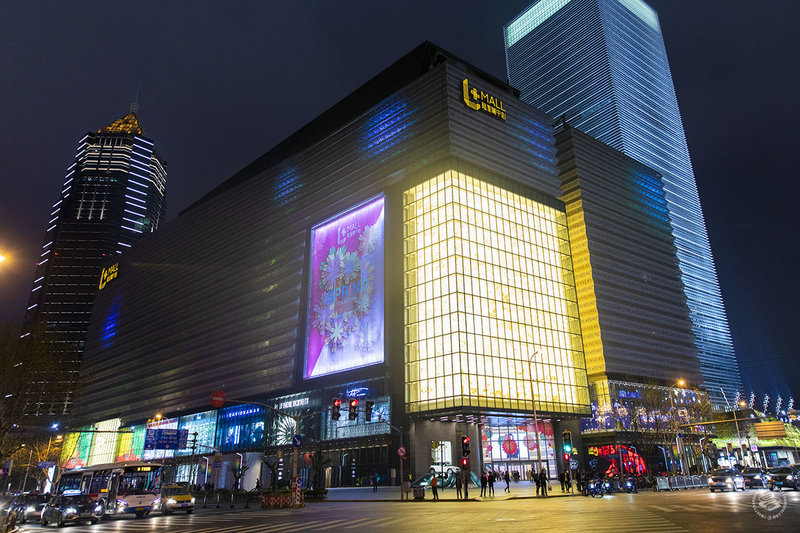 The oldest and most iconic mall on our list is the triangle-shaped Shimao Festival City on Nanjing Dong Lu. 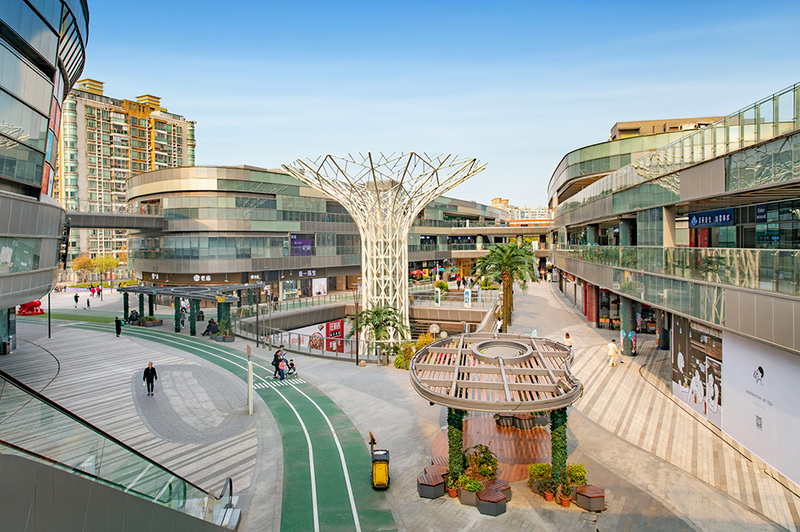 In September 2018, the shopping mall returned after a year and a half renovation. 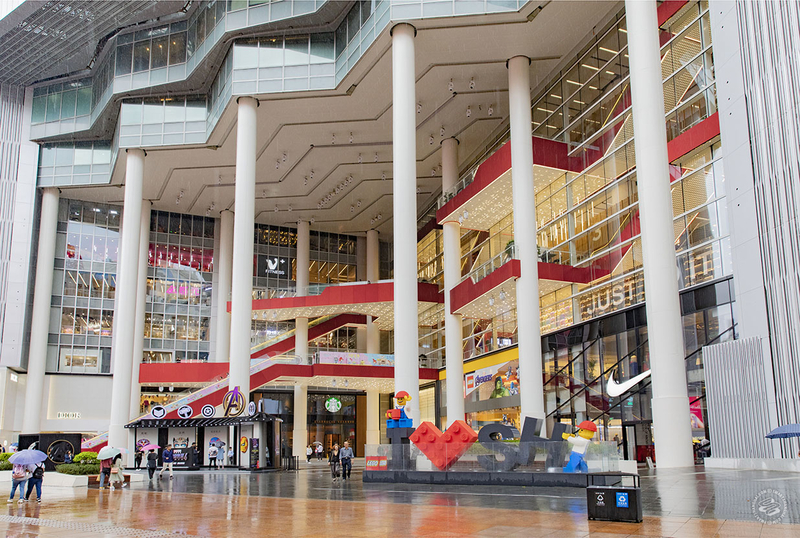 It now has an extra few flagship stores in addition to M&M World, like the two-story Lego shop, Nike’s four-story House of Innovation, China’s first Hello Kitty indoor theme park, and concept stores from Dior and Sephora. Kids, adults, moms, dads, no one is left behind! Well, maybe not dads. Seriously, where’s the mall for dads? 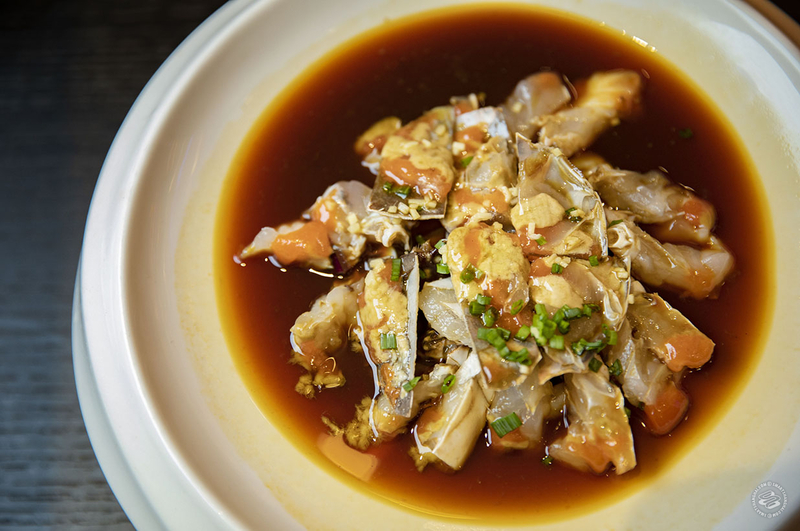 The fourth to sixth floors are where most of the cooking and baking happens, with Gui Man Long’s Jiangnan-themed restaurant, Zhongyuan cuisine at The Shopkeeper, and Le Royal Meridien Shanghai Hotel’s affordable Cantonese Ai Mei. 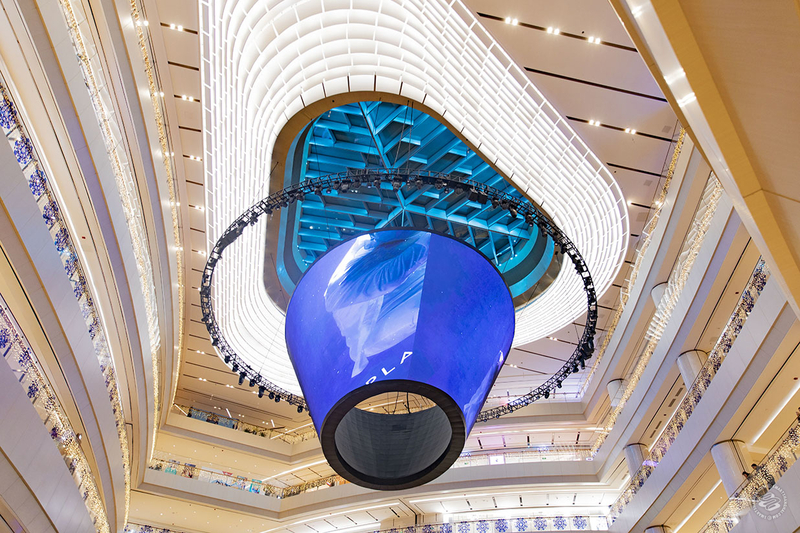 Italian architecture firm Kokaistudios helped regenerate the mall with a “theater” concept. I think the "theater auditorium" and "backstage" design will go over people’s heads. Can't imagine a lot of people are going to care much. They might care that the "east district" and "west district" plus the confusing escalator and lift system makes it really hard to navigate. It also feels too compact. The flagship stores are spectacular though. Shopaholics, eat your heart out. LuOne has a central location for Huangpu, connected to the Madang Lu metro station. 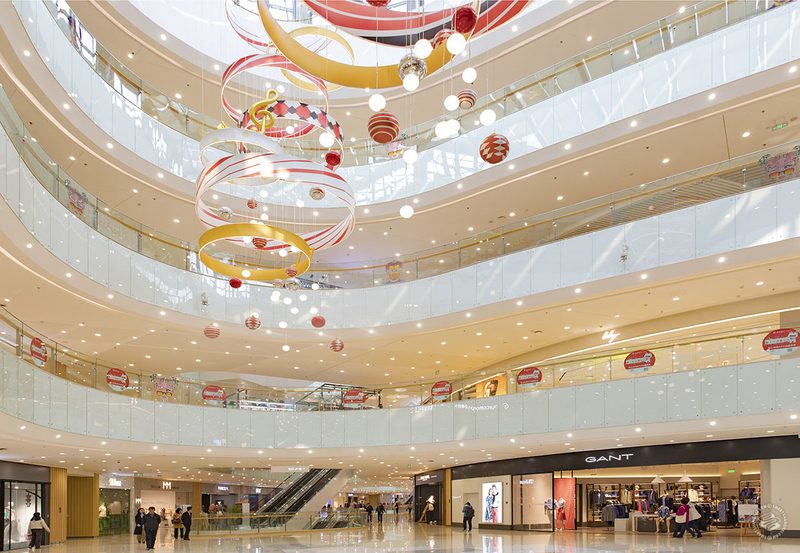 The 139,000 sqm mall has a kinetic art installation on its facade — a work from artist Ned Kahn. 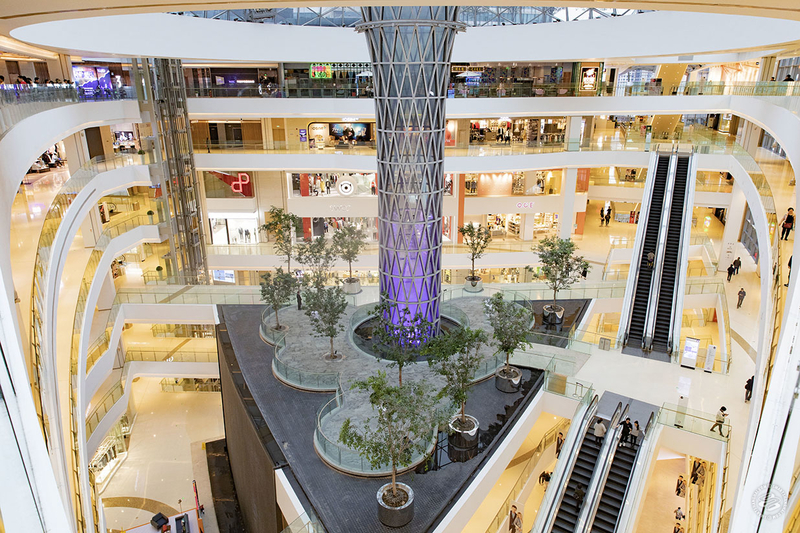 The architect behind the building is Moshe Safdie, who gave Shanghai “the largest indoor garden atrium” in the city with this mall. I’m not sure how many people go to a mall to chill at the garden, but LuOne does feel airier than others on the list. The food court at the basement isn’t in a closed environment, either. 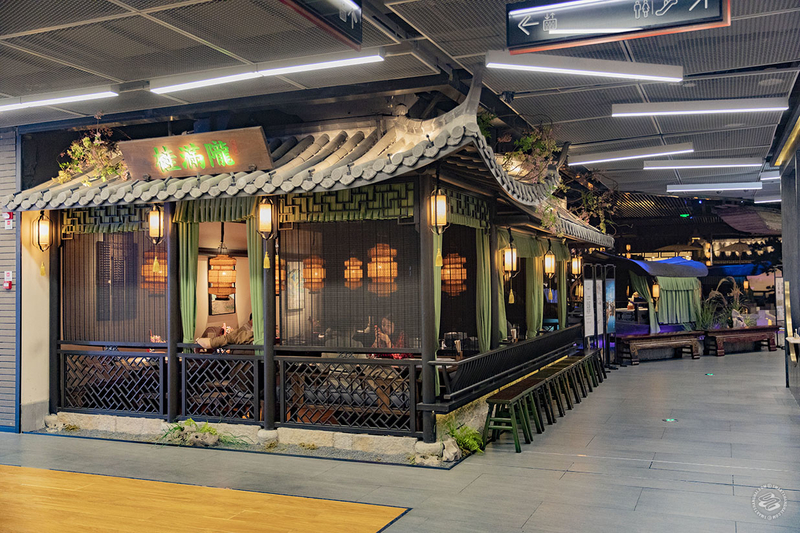 LuOne did a good job of getting those “first” outlets — 20% of the restaurants are the first of their kind in Shanghai: Dadong’s A Taste of Dadong, Greybox Coffee Roasters, VeryThai, and Sense 8’s sister brand Yuan Yang Hot Pot. 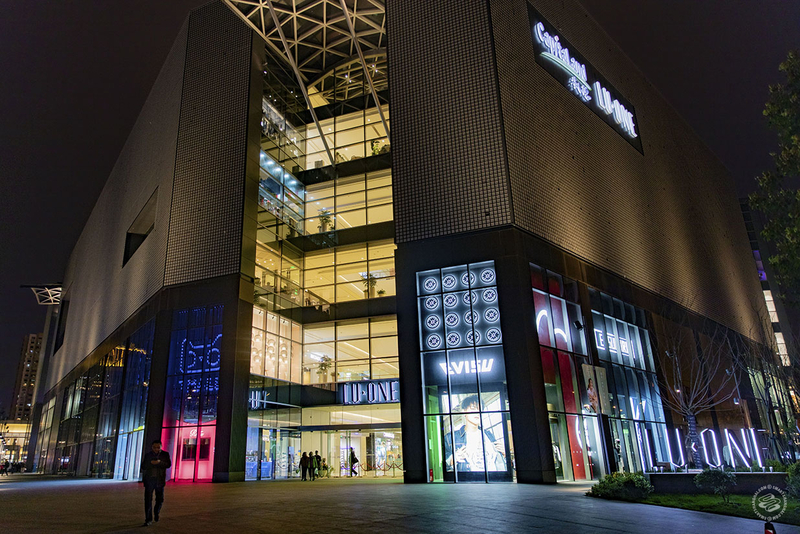 High-street fashion and affordable boutique style shops seem to dominate the shopping section. It also has a high-spec cinema on the sixth floor. 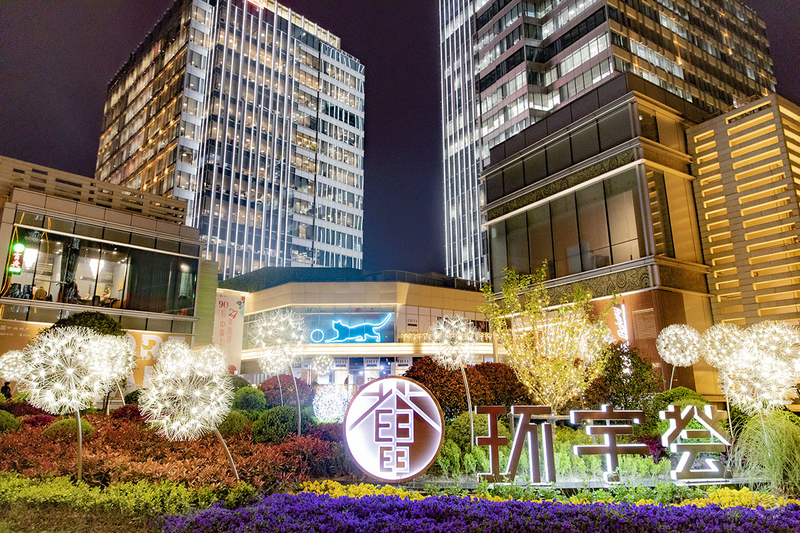 Right next to LuOne is the underground food/ shopping plaza Huan Yu Hui, Zhonghai Real Estate’s first entry to the Shanghai market. 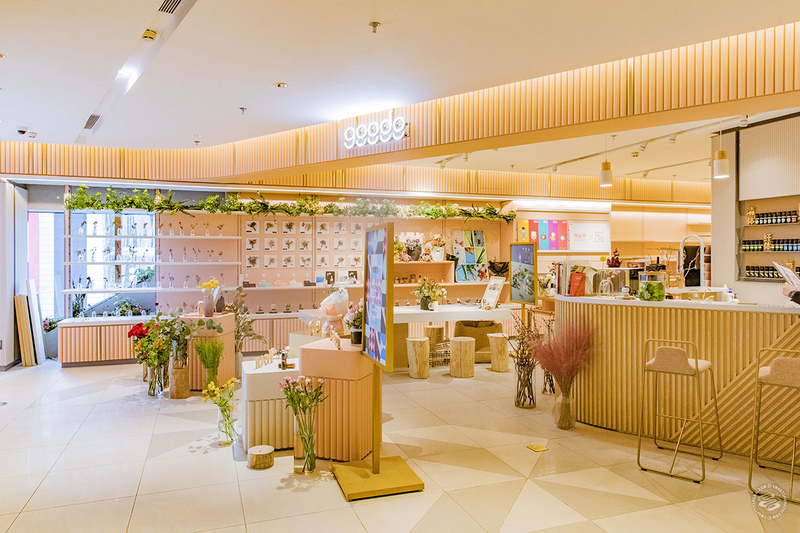 The place opened in summer 2018 and brought some unconventional concepts: the cafe+furniture shop Ziinlife, Hema’s smaller outlet Hexiaoma, and JD.com’s cashier-less store to name a few. 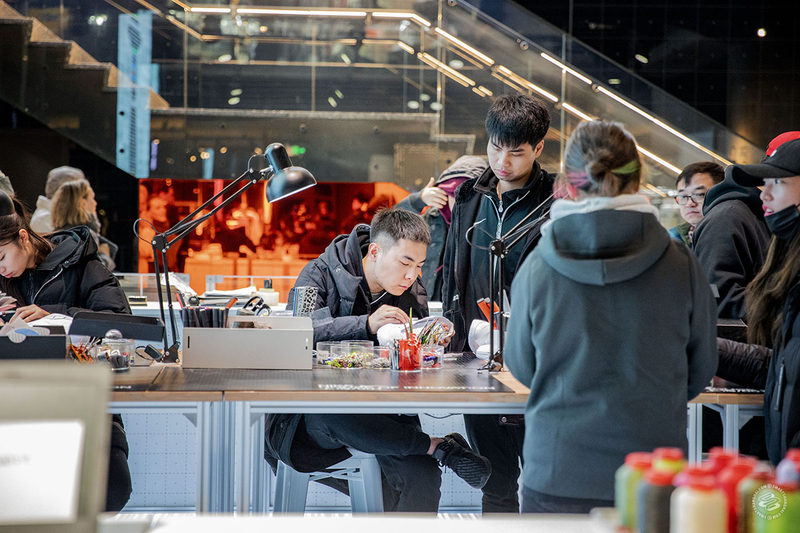 Huan Yu Hui has a stronger focus on nearby white collar workers and young millennials, offering 24-hour eateries and plenty of casual eats such as Diner, Our Bakery, and Qi Ye. 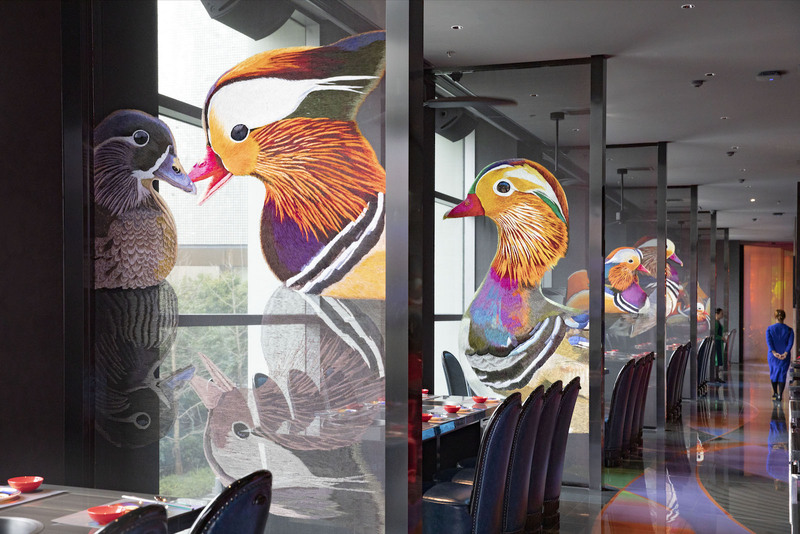 More mature patrons might find themselves at the legacy Guangzhou tea house chain Diandude, steakhouse Lychee Lychee House, or the Bond-themed cocktail joint The Artist Bar & Bistro. At first glance, the interior of L+ mall looks similar to IAPM. It also smells good. 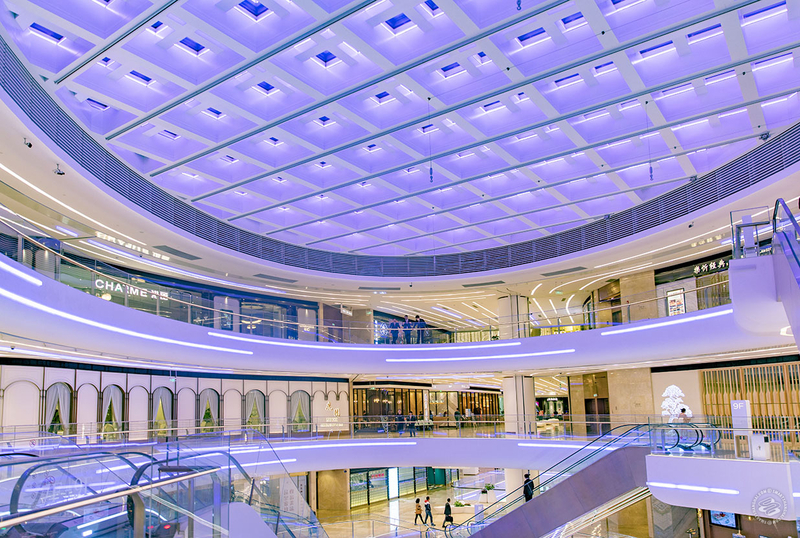 Despite having more than five big shopping/food malls close by, it manages to stand out with a bold architectural design and massive open spaces — both underground and on the rooftop. All told, it covers 140,000 sqm across 11 floors. 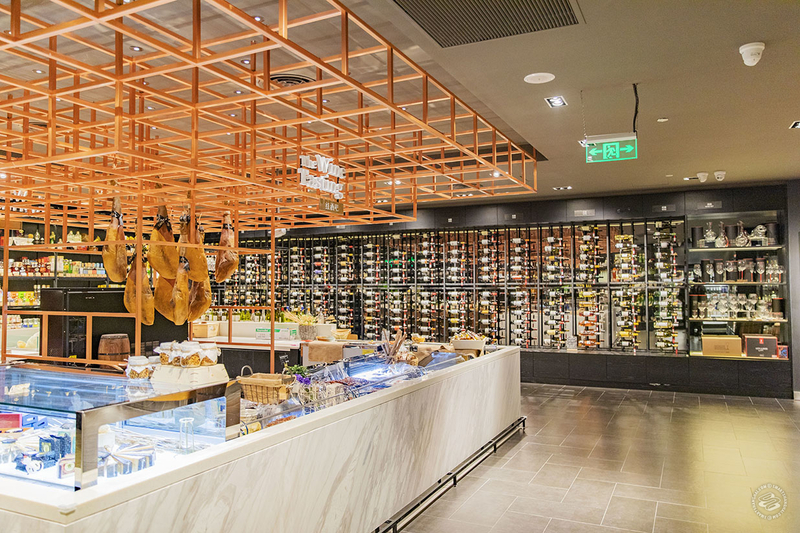 L+ has the first Galeries Lafayette in Shanghai and the first location in Pudong for many Michelin-starred restaurants — benbang cuisine Moose, Cantonese food Zi Fu Hui, and fancy Ningbo cuisine Yongfu Mini. Popular stuff like Taco Bell, Charlie’s, and Peet’s coffee are also here. 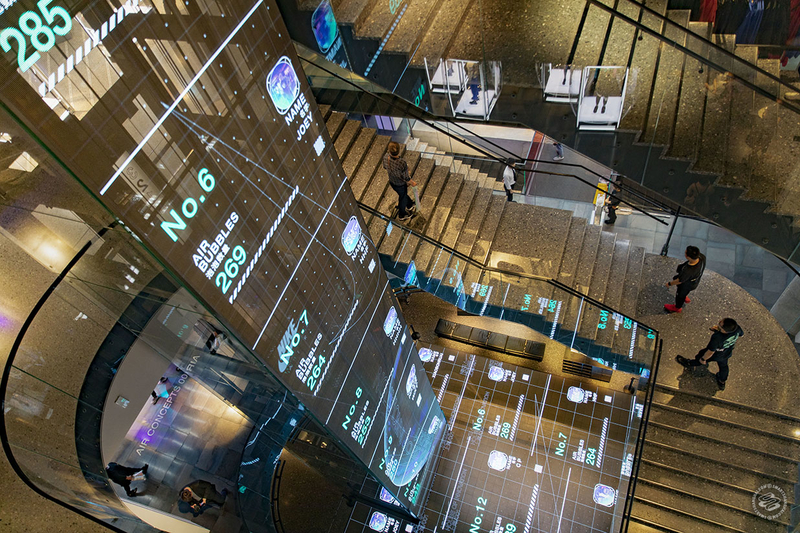 The mall covers everything from fitness to tech, and the Palace cinema on the 10th floor has an awesome LUXE laser projector. In terms of the selection of the brands, I think it’s fair to say that L+ Mall feels “very Puxi” in general. 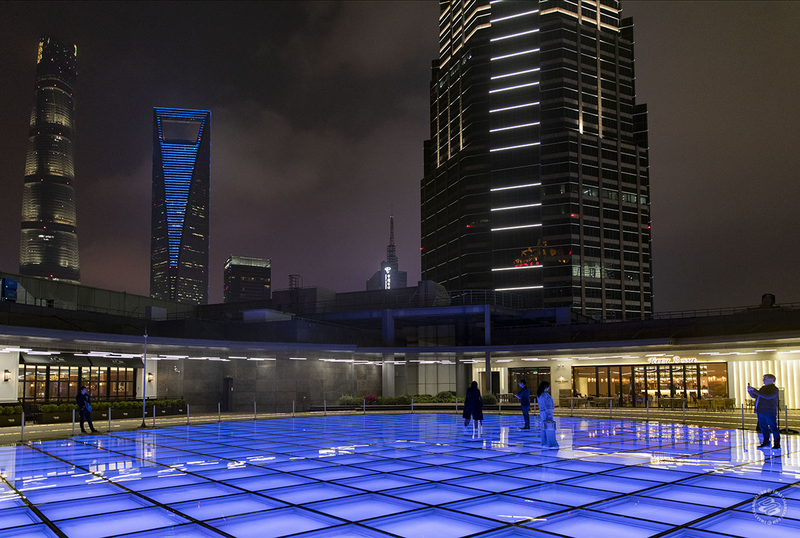 L+ also has three exhibition spaces (all wanghong-style), and hosts talk shows, magic performances, concerts, and light shows regularly. Can’t imagine the electricity bill here. Other than that, it’s a pretty cool mall. Large enough for people to wander for hours but easy to get out. There are two kinds of shopping malls in Shanghai: those who have trolleys, and those who don’t. 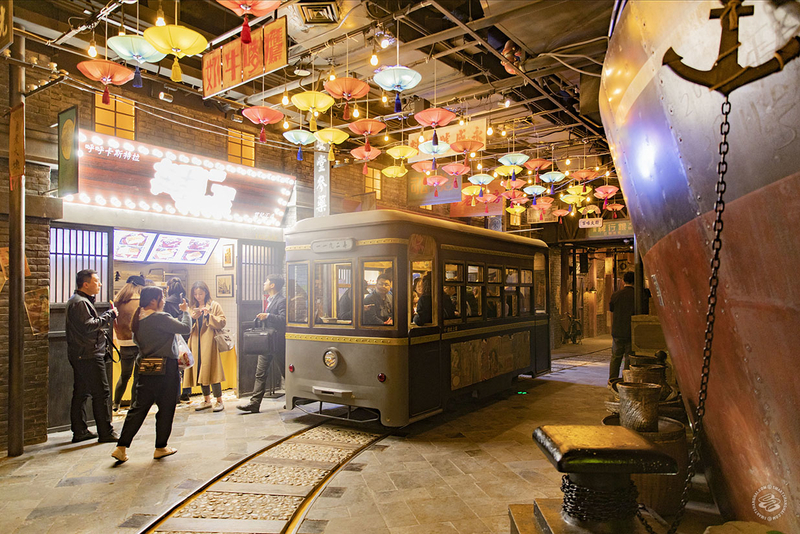 At Century Link, the giant mall that’s connected to the traffic hub at Century Avenue, visitors can actually hop on a trolley and take a tour of a 1920s-style Shanghai street. It’s a pretty surreal experience, right off a film set. 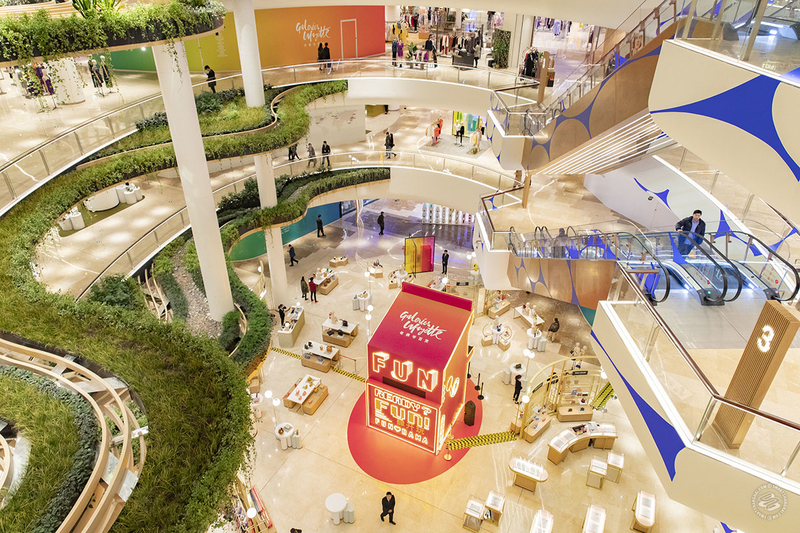 There are over 350 brands in this 140,000 sqm mall. 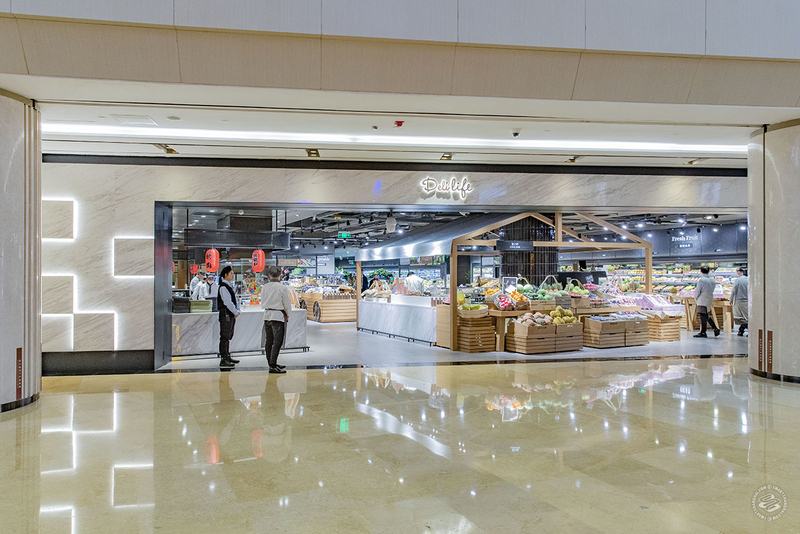 Aside from the old Shanghai food street, which has a handful of legacy Shanghai brands and national street foods, Century Link also has a creative market that offers various workshops and designer products, a high-end fresh food market plus canteen concept called Deli Life, and a succulent plant botanic garden on the rooftop. Delectable. Markets, workshops, exhibitions, live performances, plus a StarMax cinema... The concept of Century Link seems to resemble Joy City a lot. 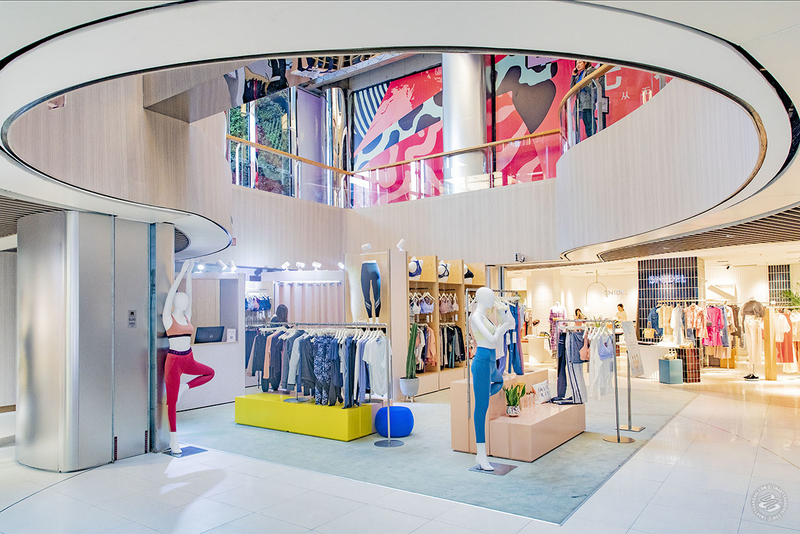 It caters to a younger crowd and wants to offer the “experience economy” rather than straightforward shopping. After a few visits, my friends and I still get lost in this mall sometimes, especially in the basement food court. 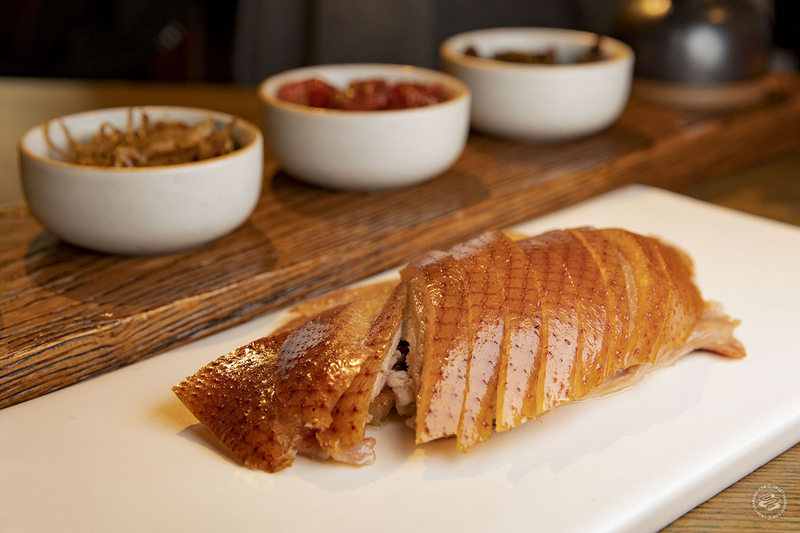 But where else in Pudong can you find hundred-year-old Shanghainese and Ningbo snacks together in one place? 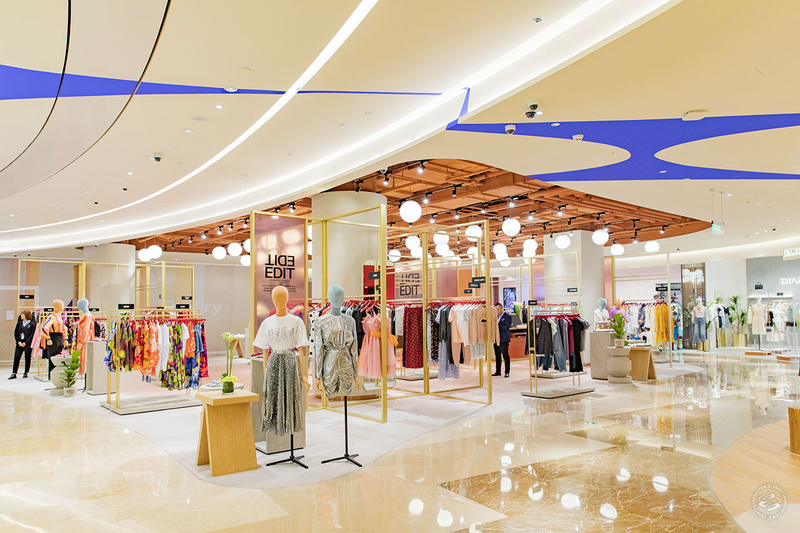 Right next to the Huangpi Nan Lu station, the once-iconic Pacific Department Store got a full upgrade in November last year and has now become a shopping mall "for the ladies." What does that mean? Well, the plaza is mainly in pink, and the cafe and dessert shops here are buzzing with conversation even on weekday afternoons. 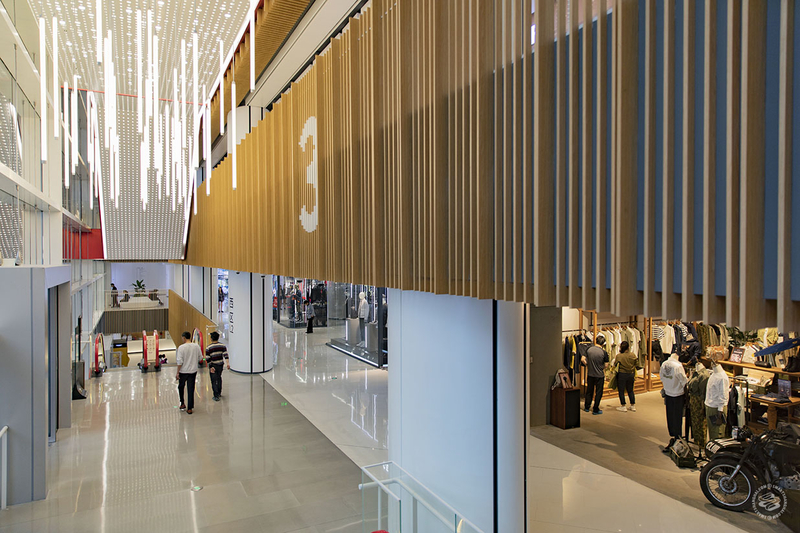 It’s the smallest mall on our list — only 27,000 sqm — but it’s ambitious. 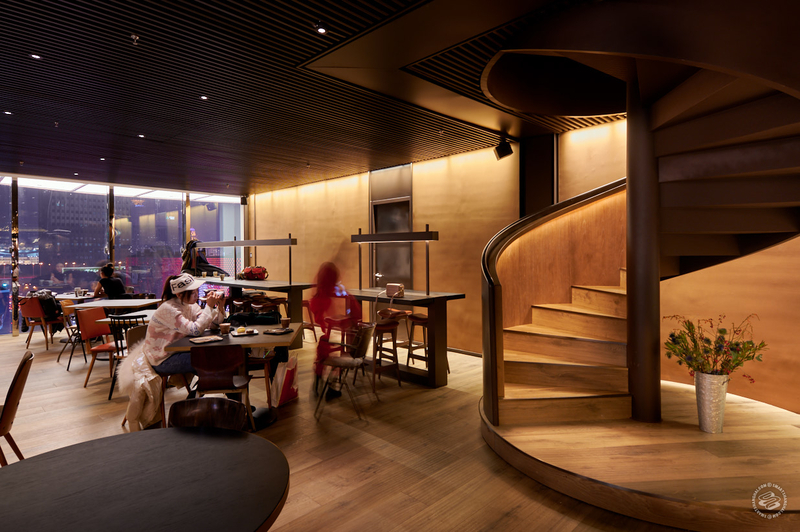 Aside from the female-focused brand selections (LeTAO, % Arabica, L'éclair de Génie) Xintiandi Plaza’s major focus is the Social House, a lifestyle hub that occupies both fourth and fifth floor. 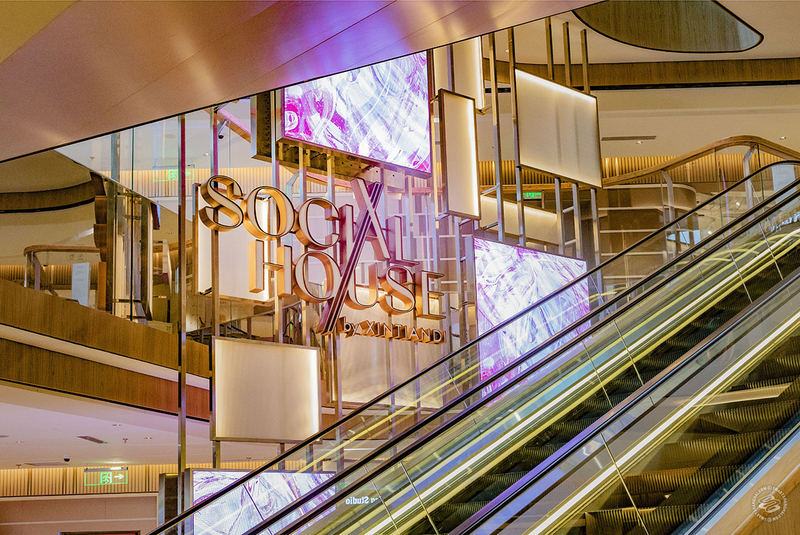 The Social House is where, um, social activities happen: Joint Publishing’s boutique bookshop Readway links the two floors together with a spiral staircase, ELLE magazine opened a cafe in there; travel platform Qyer.com installed a showroom; and there is also a cooking studio, barre studio, music gallery, and various gifts shops. Xintiandi launched a new magazine, Social Paper, for this concept, and hosts monthly community events. 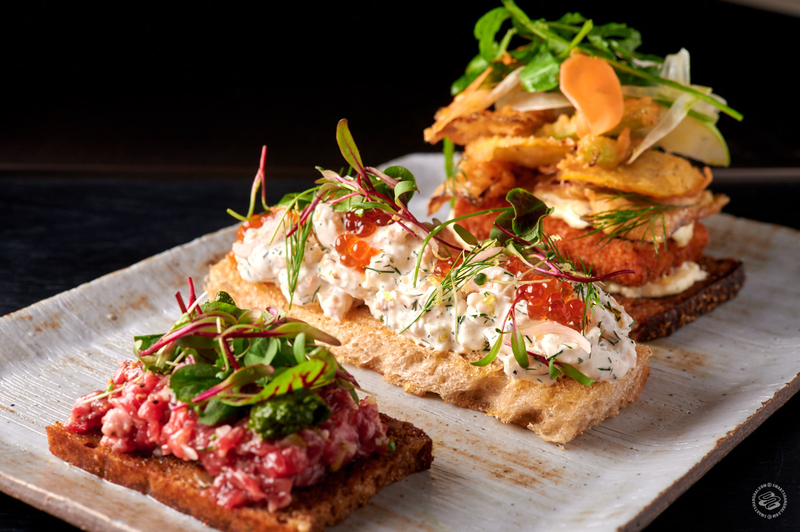 For those not enthusiastic about pink, Xintiandi Plaza has a lot of F&B: RYE & CO (from the people behind the Nest) and Singapore’s PS.Cafe, plus staff-less gym SuperMonkey. 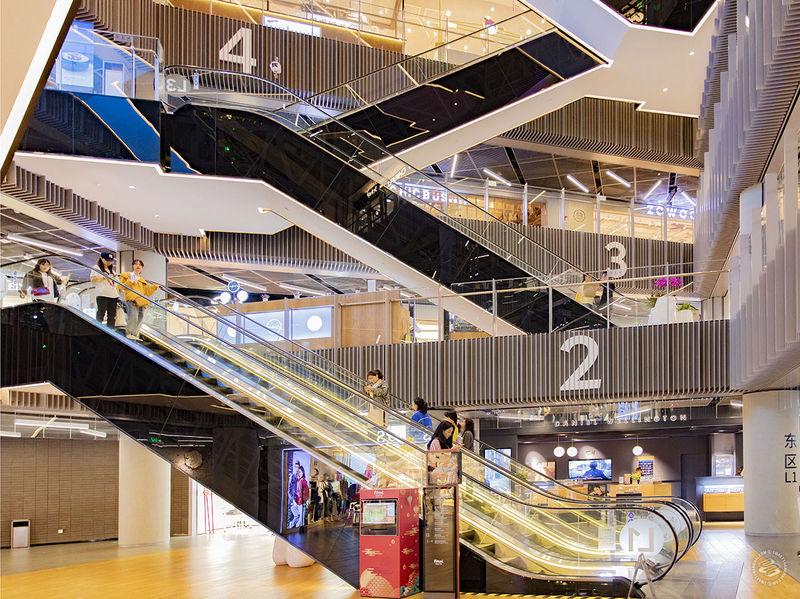 The shopping mall courageously got rid of a large part of the center floorings and replaced them with curvy, misaligned designs, but the building layout still suffers from low ceilings and restricted walkways. Having said that, there are many benches and seats available, and the restrooms are more female-friendly than most of the malls in Shanghai. They're spacious, with little boudoir make-up tables and mirrors. That’s a trend I’d love to see more buildings adopt. 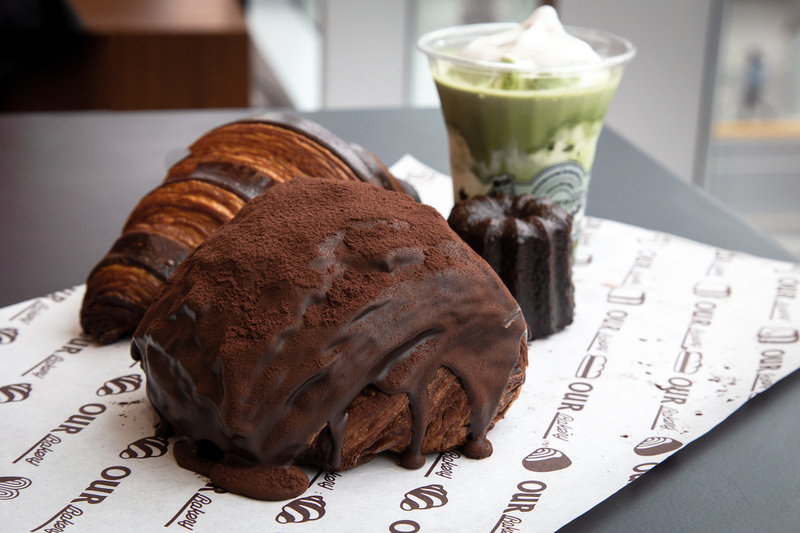 Technically in Jing’an but actually closer to Baoshan district, iMix is quite a trip from the city center. 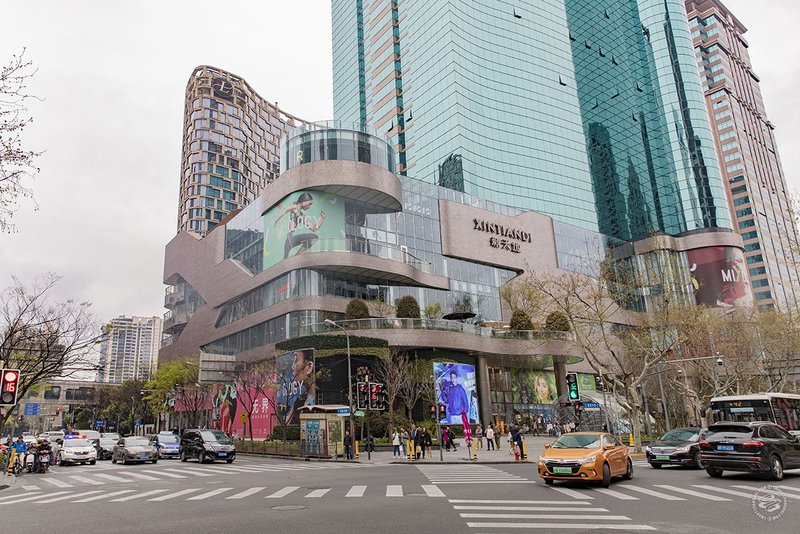 It’s the most family-focused mall on the list, and also the largest shopping center in the northern part of Shanghai: 190,000 sqm over five buildings. Due to its sheer size, it doesn’t feel cramped, even with 300+ brands. iMix is partly playground partly shopping center, which is a bit sad for the kids but that’s what laobaixing can afford these days. 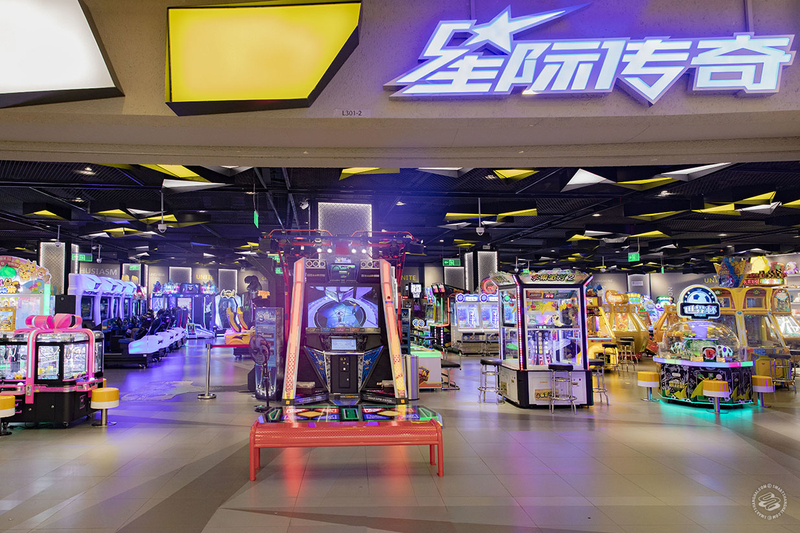 It has a Thomas the Tank Engine train chugging around inside the mall, an indoor playground, a painting studio, music instrument studio, skiing class, arcade, and a running track on the ground floor. 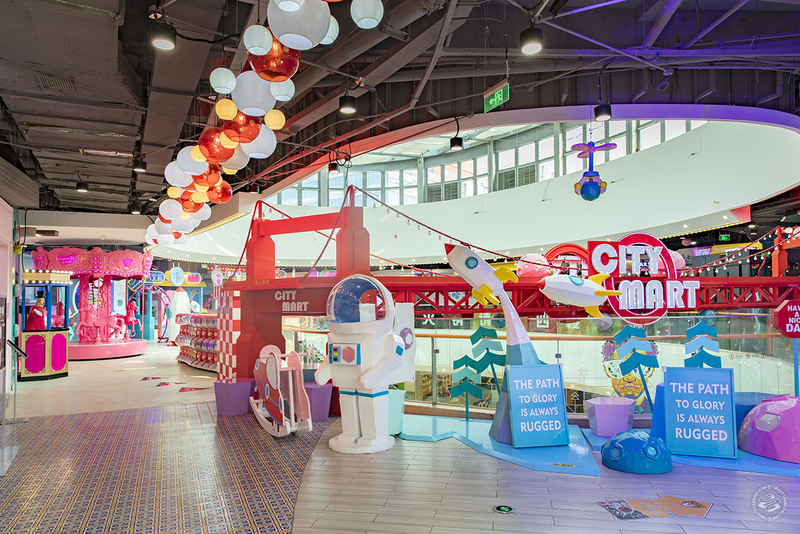 Around 10,000 sqm of the mall is dedicated to all sorts of early education. Modern problems require modern solutions! It has a market, too. The City Mart on the fourth floor is a mini carnival-like crazy area that has a small carousel, a VR room, and a handful of street snack vendors. 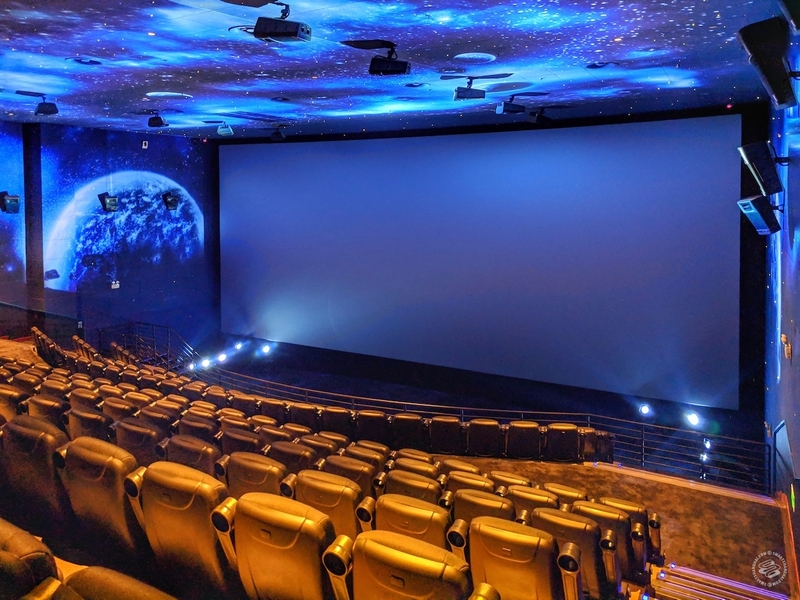 One floor above, there’s HOYTS, one of the few cinemas in Shanghai that’s equipped with both IMAX and Dolby Cinema. 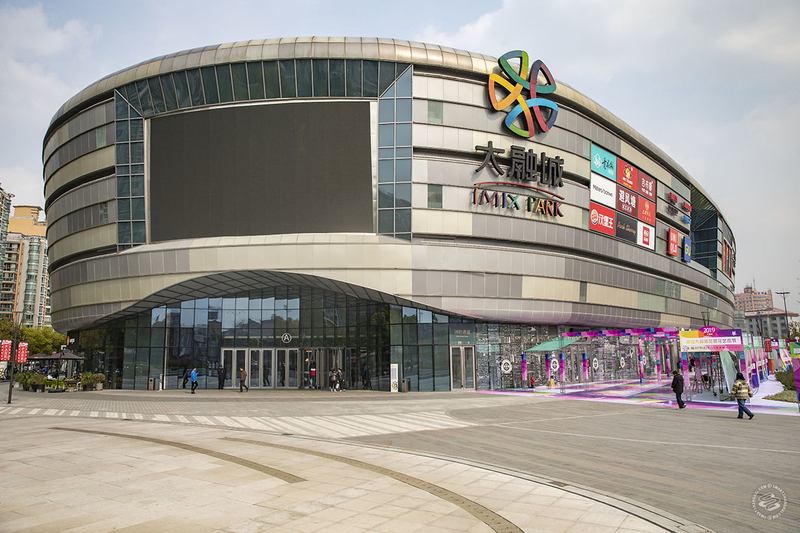 iMix really wants to take care of the shopping demand in the new Jing’an (Daning), Putuo, Baoshan, and even Jiading areas, and appeal to everyone. 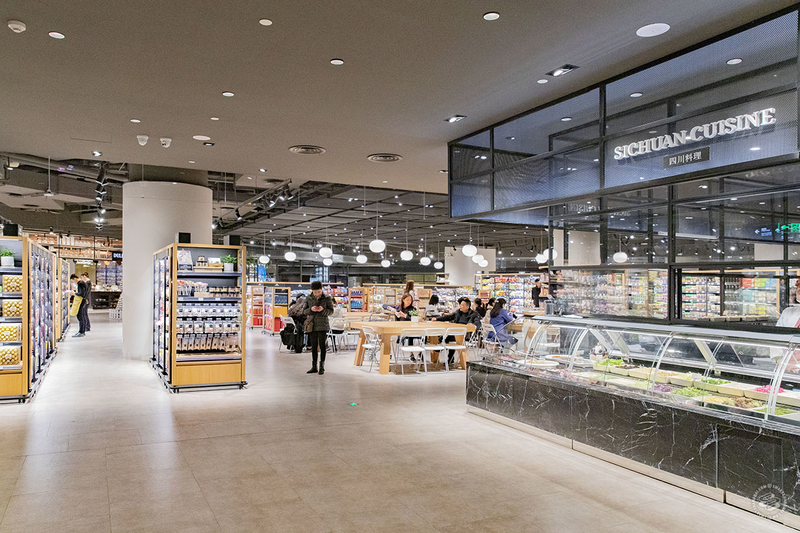 F&B is mostly mid-range and so are the fashion retailers. It’s not so “cool” but it does its job well enough, and I can see why it’s packed on weekends.